(CNS): When the premier called on the Cayman public to do more to help reduce government’s financial health care burden, he admitted that he had been guilty of neglecting his own health and needed to do more. He said he had allowed his own weight to reach 360 pounds and was forced to seek a gastric by-pass. “I had been a bad boy,” McKeeva Bush said at thenational healthcare conference last week. “At 360 pounds everything was going the wrong way. When bariatric surgery was suggested, I thought my world had ended. I had never been sick in my life, never been in a hospital.” Having undertaken the procedure, the premier said he felt 100 per cent better “I can even run!” he said. Despite the costly surgery, Bush conceded that, like a lot of people in Cayman, he did not exercise enough and a lack of exercise was endemic in the Cayman population because of people’s busy lifestyles. Speaking at the opening of the Healthcare 20/20 conference at the Ritz-Carlton, which this year focused on the economics of the issue, he said healthcare was a very expensive business for government and it was everybody’s responsibility to get their heads together to discuss a way for Cayman to build a sustainable healthcare model. Healthcare spending is rising faster than incomes in most developed countries and the Cayman government’s own “staggering” healthcare burden at around $93.4 million (2090-2010 figure) is just less than a fifth of the total budget and unsustainable, the premier said. “Just imagine if half of that sum could be spent on scholarships or other social programmes,” he added. The premier said that various pressures were pushing up costs, including increased public demand for healthcare, increased insurance costs, specialist technology, new costly drugs and unhealthy lifestyles, resulting in a growing need for medical care. Healthcare was an issue that could easily be neglected, especially when incomes were dwindling and times were hard. “The fact that our healthcare is usually at the bottom of our lists is ironic, given that the cost of healthcare gives the government one of its biggest financial headaches,” Bush said. Health minister Mark Scotland also had stark words of warning for the audience when he said that if Cayman’s current model of healthcare did not change soon it would find itself handicapped and cause an inevitable decline in care. “It cannot continue,” he said, stating that everyone needed to embrace a culture change. (CIFA): Elite Sports Club of West Bay had a week to remember on the football field as both their Senior Men and Women’s teams picked up wins that took them to the top of their respective leagues. The Elite Women’s team met league leading Sunset on Saturday evening at the Ed Bush Sports Complex in West Bay. As expected this game was full of incident and very physical as both teams were fighting for victory. Early pressure from Sunset paid off when Elite’s Marissa McLaughlin handled the ball into her own net after she failed to deal with a Sunset cross come shot that had struck the post. Mclaughlin’s misfortune gave Sunset a deserving lead that saw them coming into the dressing room at half time with the advantage. Elite began the second half with more assertiveness and got themselves back in the game on the 58 minute mark courtesy of Shanice Monteith who latched onto a through ball from Courtisha Ebanks. Two minutes later Monteith completed her brace after gliding past two Sunset defenders she calmly slotted the ball past Sunset goalkeeper Jovani Hessing to give Elite the lead. In the 70 minute Shanelle Frederick also got her name on the score sheet again giving Elite a 3:1 victory and three points that sent them to the top of the Cayman Islands Women’s league. A Brittni Ebanks hat-trick helped Future secure their first win in the Cayman Islands Women’s league as they downed George Town 8:1. Monique Roberts, Kimberly Rivers, Erin Logan and two from Breean Wright gave Future an impressive win. Zoenief Walker was on target for George Town. Elite’s Men were in action the following day against Roma United, Elite were looking to maintain their excellent form that has seen them win their last four consecutive games, and central to their success is midfielder Jedd Ebanks who has had a formidable year thus far. Ebanks has been a consistent performer for the Cayman Islands National Team in their 2014 FIFA World Cup Campaign, ever present in all six of the Cayman Islands World Cup Qualifying games; Ebanks is now focused on being a part of Elite’s title defense in the Cayman Islands Premier League. After losing in their opening league game to Roma, Elite found some redemption with a 2:0 win against Roma this Sunday. Elite have now taken 19 points from a potential 24 to top the league and overtake Scholars International. Dwayne Wright and Alex Belcher scored to give Elite their fourth consecutive win. Scholars International surrendered their position in top spot after only managing a draw against second from bottom Cayman Athletic. Scholars Aldene Forbes and Nahun Rodriguez goals weren’t enough as Matthew Suberan and Santangelo Bush responded for Cayman Athletic who moved 3 points clear of bottom side Future who lost 1:0 to George Town. David Harding’s fifth goal of the season made sure that George Town picked up another valuable three points as they try to keep pace with the leagues front runners. Bodden Town put up another impressive score line and maintained third spot in the league as they ran out 5:0 winners over Tigers FC who finished the game with only 8 players after receiving 3 red cards. Bodden Town is the Cayman Islands Premier Leagues most prolific attacking team, scoring 28 goals in 8 games. BT’s scorers this week were Danu Smith, Jordan Thompson, Jorronie Mclean and a double from Charlo Mclean. (CRFU): The John Doak Architecture Iguanas secured the Heineken Charity Shield for the first time on Saturday 19 November with a hard fought 23-5 win over the Krys Global Buccaneers. 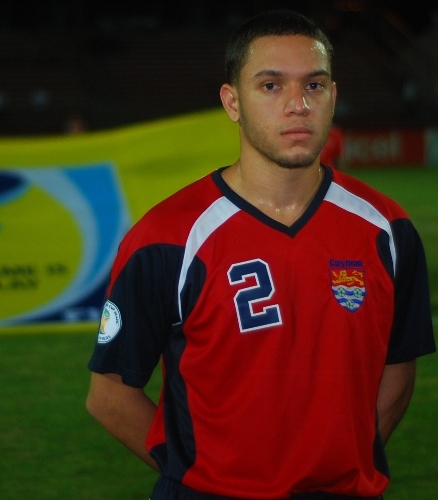 Both teams had played for the shield once before against the DHL Cayman Storm but neither had any previous success as the Storm have kept a firm grip on the trophy since its inception. However, having finished 3rd in the domestic league competition last year the DHL Storm were unable to earn the opportunity to retain the Shield for a 3rd consecutive season. The Iguanas, current holders of the Alex Alexander Memorial League Trophy and the Buccaneers, current holders of the Waterford Knockout Vase kicked off in the afternoon having enjoyed a fiery encounter earlier in the day when the DHL Storm took on the Queensgate Pigs Trotters in the new “Heineken Wooden Spoon” competition. The high-scoring fixture, tabled to be a friendly, was anything but as tempers flared on more than one occasion. The Pigs Trotters, looking to overturn last years lacklustre season had moments of brilliance with good offloading in the tackle and strong backline running testing the DHL Storm defence but it was again the individual brilliance of DHL Storm stalwart Vanassio Tokotokovanua who kept the scoreboard ticking over in favour of his team with the help of Josh Clarke, Michael Sumares and newly re-positioned Storm fly-half Keswick Wright. The final score of 47-33 in favour of the Storm was not the one sided affair some expected against the Pigs Trotters and surely announces the Pigs as a team with real ambition to contend for silver-wear this domestic XV’s season. In the main match of the day the Iguanas and Buccaneers faced off in the knowledge that the game would be a test of endurance as neither team was playing with a subs bench and players normally suffer from a lack of fitness early in the season and whereas the Buccaneers had won the A.R. 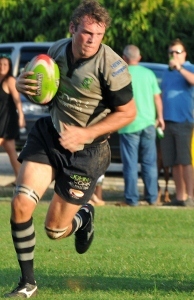 Scott 10’s competition and a handful of the Buccaneers players including Dan Bond and Phil “Boo” Fourie had recently returned from National 7’s success in Barbados the vast majority of the Iguanas had not played competitive rugby in a year. Regardless, the Iguanas preparation for the game clearly paid off and the likes of Chris Palmer and Jon Murphy found little of their usual success against an Iguana backline that held strong and marched into the half time break with a 10-0 lead thanks to a Johnny Doak penalty and a Tom Mann converted try. 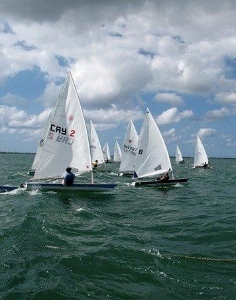 (CISA): This weekend, the 26th and 27th November 2011, the Cayman Islands Sailing Club will be hosting the 2011 Bacardi National Laser Championships. Close and competitive racing is expected from the twenty competitors that are registered to take part. The increase in wind strength over the last few weeks has timed itself perfectly for a fast and wet event. This year’s fleet is evenly divided between the Laser Standard and the smaller sail Laser Radial class. The expected twenty knot forecast for Saturday will have a number of the Radial class members looking forward to racing past many of the more overpowered standard rigged boats. Winds are expected to moderate on Sunday. Seven races are scheduled to be sailed over both days. Trying to predict the overall favourites or winners for the event is very difficult, however strong performances are expected from Tomeaka McTaggart and Eduardo Bernal in the Laser Radial. In the Laser Standard, Raph Harvey and Nick Taylor will be picking up where they left off last year when they fought tooth and nail in the 2010 Bacardi Laser Nationals, Taylor finally taking the trophy with a one point difference. The best spot to view the racing on the North Sound will be from the Cayman Islands Sailing Club or by private watercraft around the race area. Racing begins at 2pm on Saturday 26th November and at 1pm on Sunday 27th November. (CNS): Oxford graduate, Shmona Simpson has won this year’s prestigious Rhodes Scholarship, an internationally renowned post graduate award that targets exceptional students. The twenty three year old Caymanian student has already earned herself a first in her degree from London University of London and recently graduated from Oxford with MSc in global health. She was presented with the award at Barbados’ Government House on 22 November by the scholarship’s selection committee. Offering his congratulations education minister Rolston Anglin said she was a testament to the success which can by gained through hard work. The scholarship is named after the English-born South African and founder of the De Beers diamond company and considered one of the world’s most prestigious. It targets applicants with “proven intellectual and academic achievement of a high standard, who also show integrity of character, interest in and respect for their fellow beings, the ability to lead,” as well as the energy to use their talents. Past recipients of the Rhodes Scholarship include American President Bill Clinton (1968) and the former Vice-Chancellor of the University of the West Indies Rex Nettleford (1957). (CNS): McKeeva Bush signed on the dotted line on Wednesday, committing the Cayman Islands to a fiscally prudent and transparent future, during his visit to the UK for the annual Overseas Territories Consultative Council (OTCC). 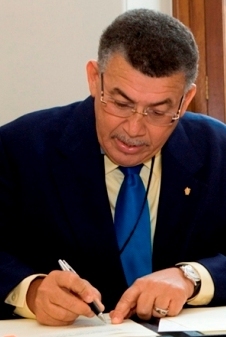 The Foreign Office Minister for the Overseas Territories and the Cayman Islands premier, who is also the finance minister, signed a Framework for Fiscal Responsibility for the Cayman Islands. The agreement ties this and future governments to stringent new rules regarding public spending and borrowing and greater transparency on all public sector operations. UK minister Henry Bellingham said the agreement demonstrates the commitment of the Cayman Islands Government (CIG) to “prudent and transparent fiscal management through effective medium-term planning and putting value for money considerations at the heart of CIG decision making.” It also includes a commitment to effective risk management and delivering improved accountability in the public sector. 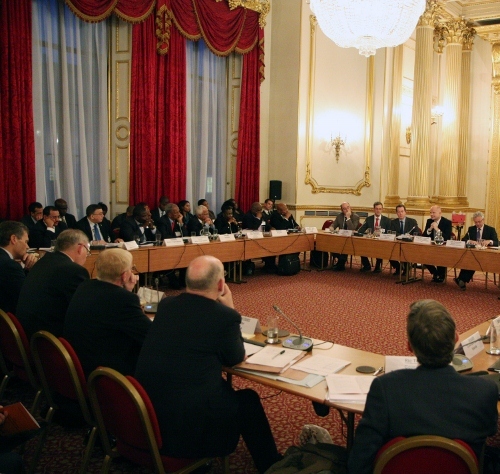 “The agreement of a Framework for Fiscal Responsibility with the Cayman Islands Government is a strong example of the UK Government’s strategy towards the Overseas Territories in action,” said Bellingham after he and Bush signed the agreemen ahead of the OTCC opening (right). 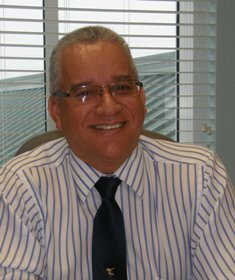 The document sets out a range of measures to strengthen public financial management that will eventually be reflected in a revision of the Cayman Islands Public Management and Finance Law, which the deal calls to be implemented by July 2012. The UK has agreed that Cayman will not be able to comply with the limits on public borrowing specified in the framework at present but it expects the local government to achieve the full compliance by the end of the 2015-16 fiscal year. Although the text of the agreement that has been signed by Bush has not been published, the final draft is understood to be close to the document published recently and posted below. The stringent measures in the document will not only prevent government from borrowing any more money for capital projects, it also places conditions or public-private partnerships, such as the proposed cruise port development with CHEC and the ForCayman Alliance with Dart, which involve public assets. “Whether they are an employee, employer, service provider or simply in receipt of goods and services, it is to the benefit of any individual to be aware of the provisions of the Gender Equality Law. I would also encourage local employers to take the online pledge and demonstrate to our community, and the world at large, their commitment to making the Cayman Islands a world-class jurisdiction in which to live and work,” Adam urged. The names of employers, and the ways in which they have committed to ensuring equal opportunities for their employees, will be made public once they take the pledge. The Ministry also encourages the public to take the four question gender equality poll, by the World Bank, which can be found on the resource page of the new website. The poll provides a quick snapshot of the public’s opinion of gender equality in the Cayman Islands. The website offers examples of international best practice, and interprets in plain language the Gender Equality Law and provides a social and historical context for gender equality in the Cayman Islands, and highlights a variety of gender equality resources from the Caribbean and the world. As well as the creation of the new website local radio, TV and cinema outlets have begun airing public service announcements (PSAs) encouraging members of the public to educate themselves about their rights and obligations under the law. Senior Policy Advisor (Gender) Tammy Ebanks worked with Government Information Services to develop the public information and education campaign, and will be collaborating with the Civil Service College to develop more training tools in the near future. The Office of the Governor, through an Overseas Territories Programme Fund grant, and the Ministry of Community Affairs had provided joint funding for the campaign materials. (CNS): The late Pastor Al Ebanks’ colleaguesfrom the various constitutional commissions added their tributes about their friend and fellow commissioner, Wednesday, after the Agape pastor passed away on Friday following a long illness. The acting governor also added his condolences and comments on behalf of the cabinet and the civil service ahead of the funeral which is scheduled for Saturday at Pastor Al’s church. Donovan Ebanks said that civil society in the Cayman Islands had lost a leading light and the commissioners said the much loved pastor was passionate about life. (CNS): The Miami based watchdog, OffshoreAlert, has published more details of the police probe into the Cayman Islands premier and the as yet unexplained “financial irregularities” which may have occurred in 2004. The specialist subscription media house has revealed statements from the investigation into the Stan Thomas – McKeeva Bush affair, as well as the content of a letter from Cayman’s director of public prosecutions (DPP). Thomas has been questioned by the local authorities about two payments that he allegedly made to Bush, OffshoreAlert reveals, based on the DPP’s correspondence asking Thomas to explain why he was allegedly giving money to the then leader of government business possibly regarding the rezoning of land on Seven Mile Beach. OffshoreAlert has also published two witness statements by local realtor Brian Wight, who was the broker involved in the purchase by Thomas of the Vista Norte land, which was owned at the time by Guillermo Freytag. In his statements to the police, Wight claimed that he had several telephone conversations with both Bush and Thomas regarding alleged payments made by the Texas-based developer to Bush in connection with the need to rezone the land before it could be developed. The report also refers to a letter to Thomas, also seen by CNS earlier this year, from DPP Cheryl Richards who asks the developer to explain payments of US$375,000 that he allegedly made to Bush “and/or his firm, Windsor Development Corporation,” in 2004. 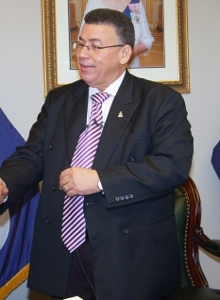 The police probe into the premier was exposed when a letter that Bush allegedly faxed to Thomas from his former ministry office in October 2004 was leaked to the press. The letter, which appears to be from McKeeva Bush, asked the Texan for $350,000 and Cayman Islands Governor Duncan Taylor eventually confirmed that this letter was the subject of a police investigation into “financial irregularities”. Although Bush has made very few comments regarding the investigation, other than threatening to sue anyone who accuses him of corruption, the premier has referred to the letter, which is on Windsor Development letterhead, as a real estate bill. David Marchant, the editor of Offshore Alert, reports that neither McKeeva Bush nor Stanley Thomas, who is based in Atlanta, Georgia, responded to his inquiries. Thomas no longer owns the Seven Mile Beach property, which includes the Courtyard Marriott site, as it was sold to the Dart Group earlier this year and now forms part of the controversial ForCayman Alliance investment plan. While Thomas had asked government to move the West Bay Road to allow him to open up the property for the development of a beachfront resort, the previous administration had been reluctant to do so because of local opposition. It is not clear if Thomas had approached the UDP administration with the same request before he sold the land to Dart. See Brian Wight’s statements and the original Stan Thomas letter below. (BBC): The jackpot for the Channel Islands Christmas Lottery has risen above £500,000. The first prize rises in relation to ticket sale increases and currently stands at £504,000. The 2010 first price was a record high of £750,000 with more money than ever going to charity. During 2011 more than £400,000 of money raised from the 2010 lottery was donated to charitable organisations across the islands. One of those to benefit was The Croft, a respite service for children and adults with learning disabilities. Sue Aldwell, secretary of the Friends of the Croft, said: "We were totally thrilled to receive funding, it will make the most amazing difference to everyone that we help support.